Hosting a Great BBQ Cook-Off! This entry was posted on June 3, 2016 by Jessica Anderson. For a fun entertaining idea this summer, host a cook-off! Friendly competition, especially involving food, is always a good time! With a little planning ahead of time, you can relax at a stress-free event. Here are some tips to get the party started. 1. Invite a good mix of people – those who love to make BBQ and those who love to eat it! 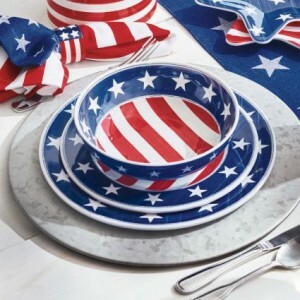 These Stars & Stripes serving dishes from Sur la Table make your Fourth of July BBQ theme complete! 2. Theme – A great theme sets the stage for an awesome party. Choose something summer related, such as 4th of July, Luau, or Beach theme, or you can choose your favorite BBQ to feature. Ribs? Chicken? Brisket? Your theme is the star of the party that you can use as a jumping off point for your music, decorations, and side dishes, so put some thought into making it a good one. 3. Music - Create an iTunes or Spotify playlist of your favorite summer jams to keep the party vibes going all day long. Don’t just stick to one genre of music – mix it up with some country, pop, oldies, rap and dance. As long as it’s upbeat, your tunes will keep the energy up and the party pumping! 4. Decorations – Let your theme be your guide! Table cloths, streamers, plates, centerpieces are all fun, inexpensive ways to deck out your space. Check out Pinterest for inspiration! For even more fun, consider creating a photo booth with props related to your theme. Then your guests can share on social and remember the fun after the fact! 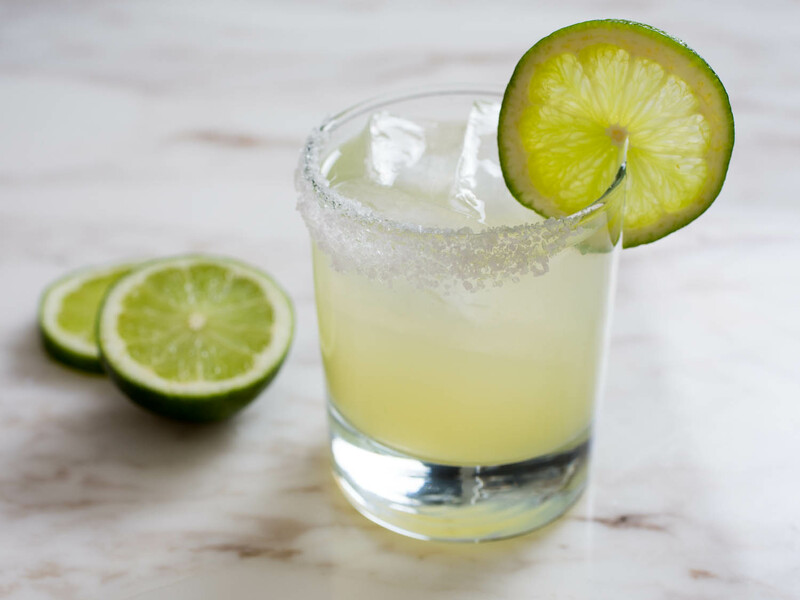 Keep thirst under control with delicious drinks at your event! 5. Bevys - Offer lots of beverages to rinse the palate and stay hydrated! Consider making a signature cocktail to match your theme. Or buckets of beer on ice is always popular and easy! For non-alcoholic drinks, a big container of lemonade hits the spot. And don’t forget the water!!! Stumped for ideas? Check out this list of 25 Essential Cocktails. 6. Awards! To add hype to the completion, don’t forget the awards! Engrave some BBQ cookoff awards such as the Barbecue Magic Trophy Award or BBQ Cookoff Chef Trophy with your event name, theme and winning category. Or get creative with your own joke trophies, such as the Victorious Hulk, Gut bomb trophy, or a dead last toilet trophy for the last place finisher! 7. Make sure you have a plan for people who have a little too much fun at the party. Assign a designated driver to taxi your guests home. Uber is also a great option for getting your guests home safely. Make it a summer to remember by hosting an epic BBQ cook off, full of good food, drinks, music, competition, and memories!